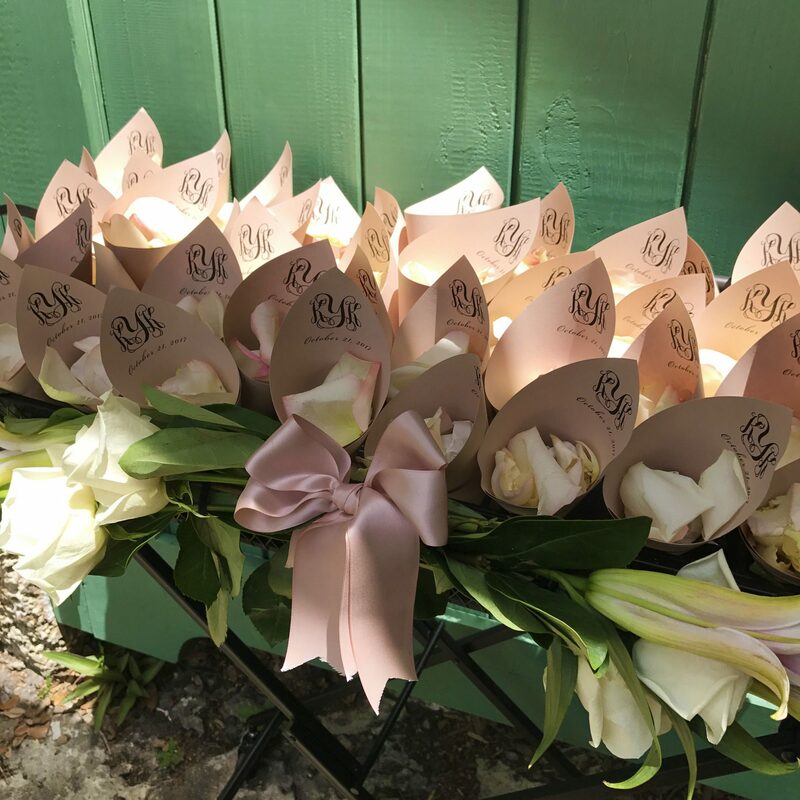 Wedding Petal Cones are the perfect way to send off the couple in a festive style in a time-honored tradition of showering the couple with good fortune. Quantity Choose an option50 - $25.0075 - $36.00100 - $45.00125 - $56.00150 - $65.00175 - $74.00200 - $83.00225 - $92.00250 - $101.00275 - $111.00. 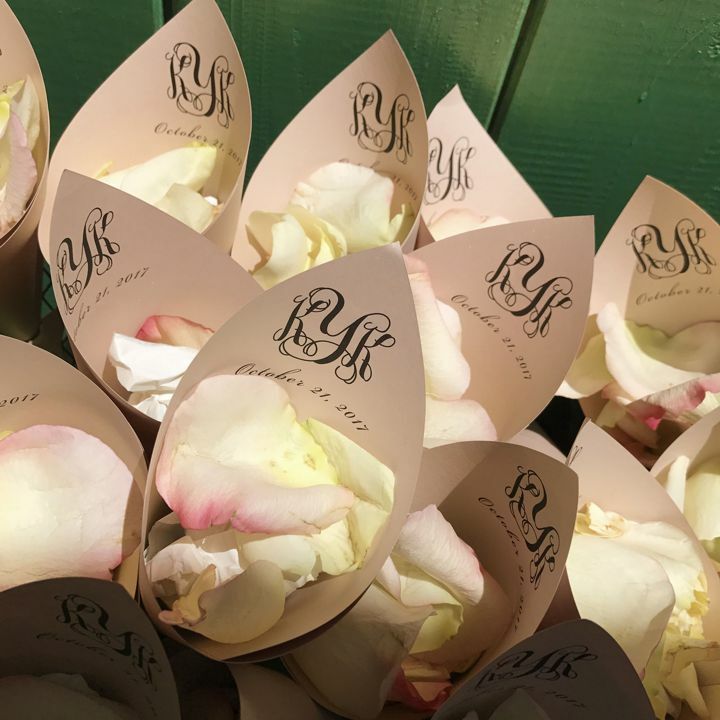 Fill your Flower Petal Cones with your favorite flower petals, bird seed or confetti! 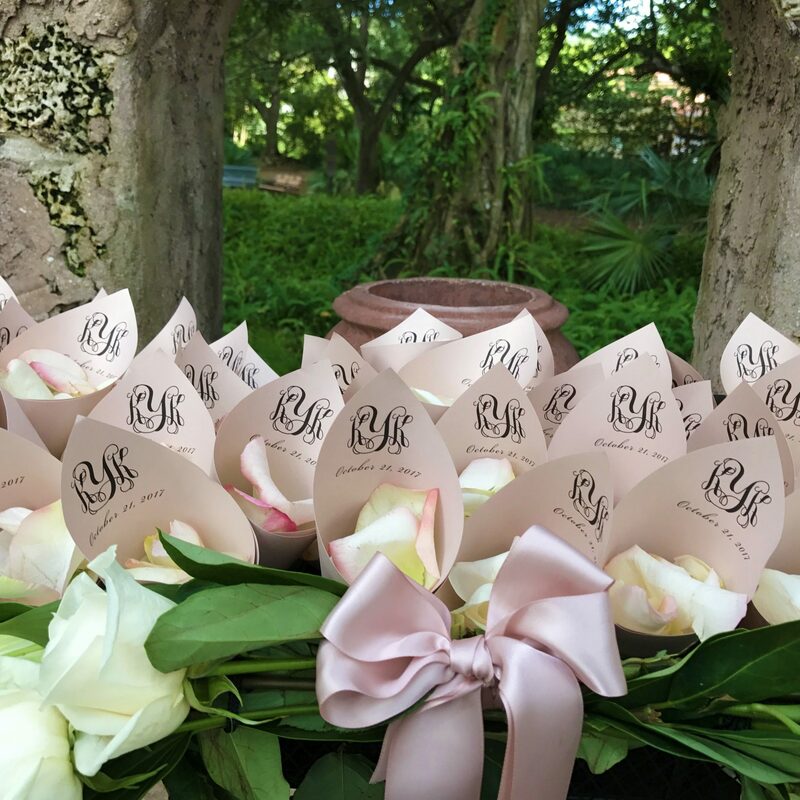 Available in your choice of Paper Color (Matte or Metallic) to suit your wedding theme. This sale includes Printing and Assembly. 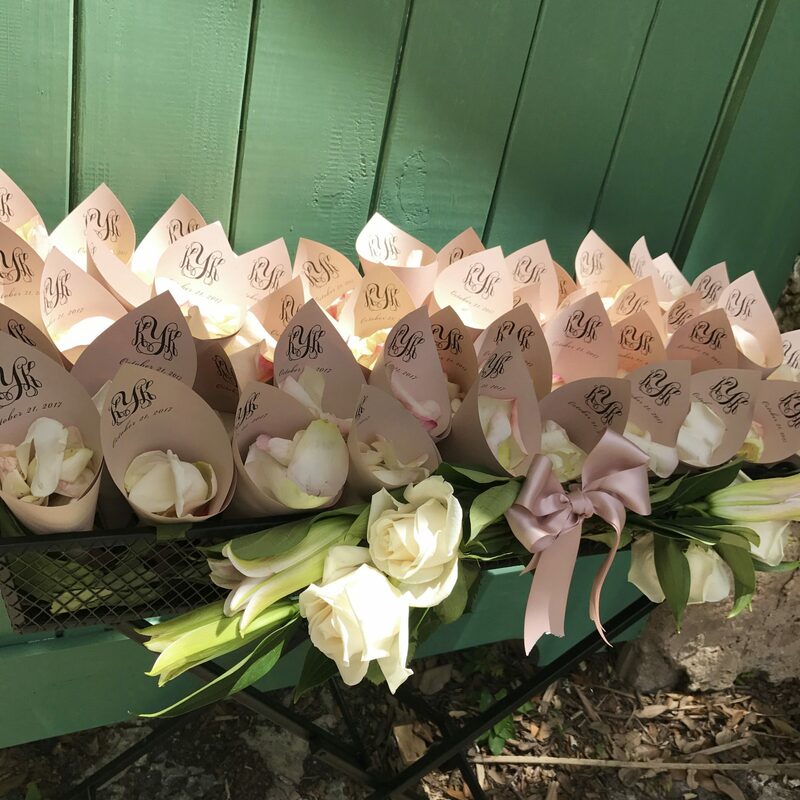 Wedding Petal Cones are the perfect way to send off the couple in a festive style. 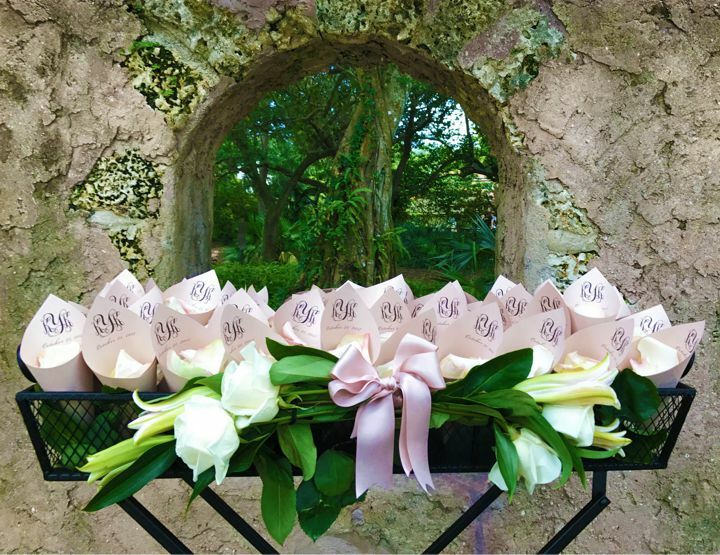 A time-honored tradition meant to shower the couple with prosperity and good fortune. 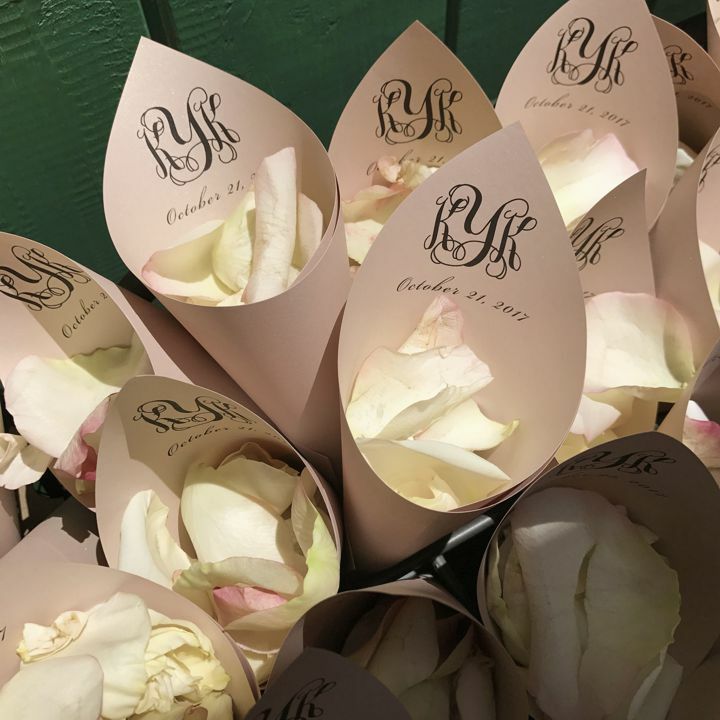 Fill the Wedding Petal Cones with your favorite flower petals, bird seed, lavender, confetti; or anything else! The possibilities are endless. Length: 6 1/2" ~ 7"
50 – $25.00, 75 – $36.00, 100 – $45.00, 125 – $56.00, 150 – $65.00, 175 – $74.00, 200 – $83.00, 225 – $92.00, 250 – $101.00, 275 – $111.00, .